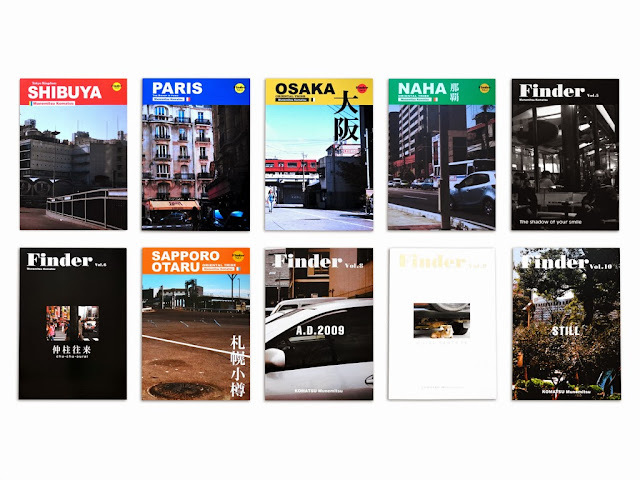 FINDER is a photography zine regularly self-published since October 2011 by Komatsu Munemitsu (b. 1968 in Kawasaki City, Kanagawa Prefecture), a member of Onaka Kōji's Tokyo-based Kaidō Gallery. Since the series reached its tenth volume in September of this year, it seemed only appropriate to have a closer look at it. Komatsu Munemistu: FINDER, Vol. 1-10 (2011-2013). The majority of Komatsu Munemitsu's photographs stem from a fascination for the artificial qualities of the contemporary cityscape's overwhelming density of structural relationships. But while for many photographers so far documenting an urban landscape also meant to document the people living in and interacting with it, this kind of portrayal of the "modern man and woman in everyday life" - although it resonates in his photographs to some degree - is only of secondary interest to Komatsu. 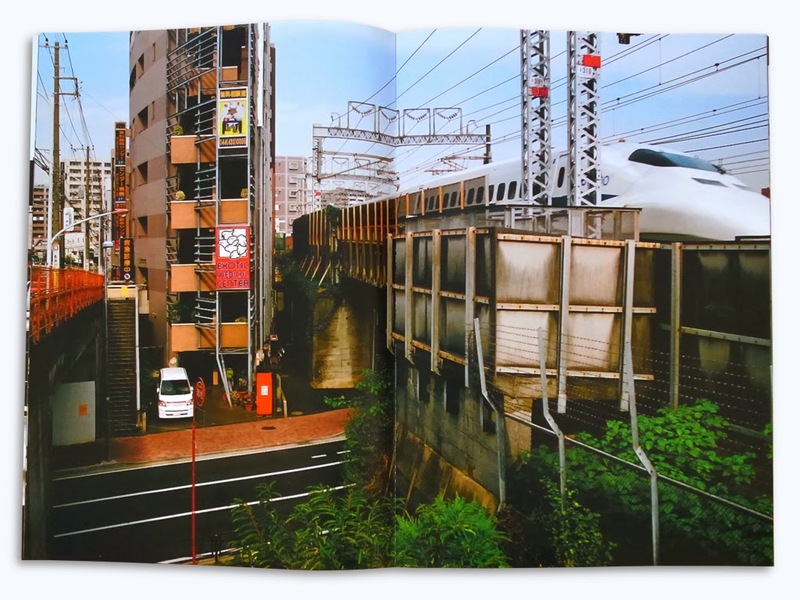 Instead, his attention is drawn predominantly to the odd structural characteristics of the man-made urban environment itself, including all of its disparate inanimate elements e.g. glass buildings, bridges, city highways, utility poles, neon signs, street markings, cars etc. Komatsu Munemitsu: FINDER, A.D. 2009, Vol. 8 (May 31, 2013). 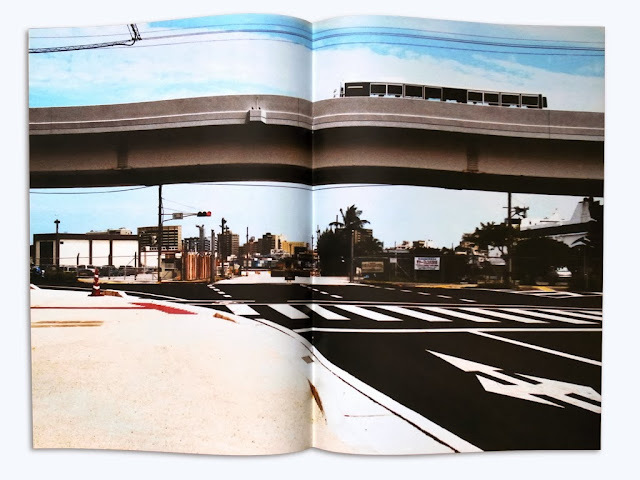 In the case of Tokyo, Komatsu's current place of residence, it is certainly the excitement of discovering a familiar scene being altered by the rearrangement of its elements that provokes him to visit the same area more than once and to contemplate on the same space at different times by means of his camera. 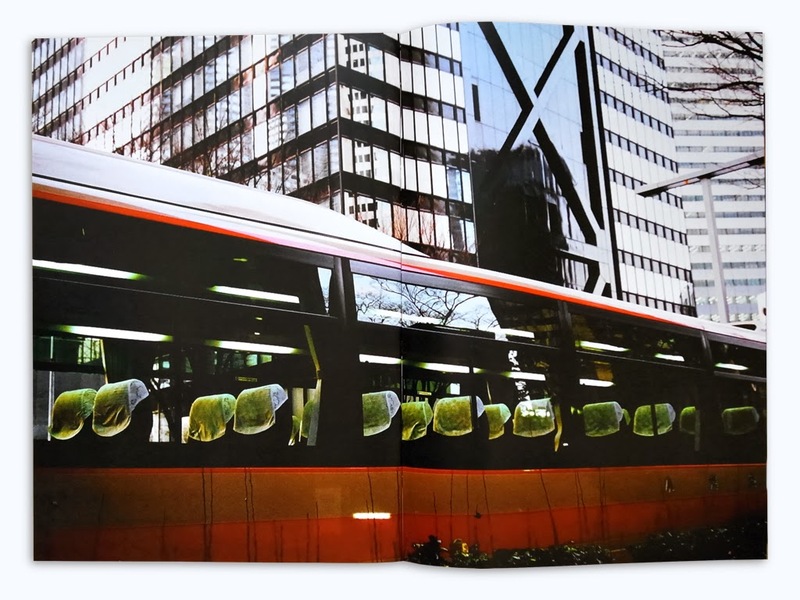 Interestingly enough, in the many photographs devoid of human presence, pictures in which the compositional elements become mere traces or evidence of the city's inhabitants' interaction with their environment, the photographer seems to force upon the viewer an emphasized reflection on the functionality as well as visual peculiarities of today's cityscape. Or to put it on other words: By documenting urban scenes as one usually does not see them, namely, seemingly desolate and "not in use" so to speak, Komatsu gives his audience a chance to attain a fresh view on an otherwise taken for granted common sight. Komatsu Munemitsu: FINDER, Vol. 4 (May 31, 2012). Because of its primal emphasis on line, shape, contrast and shadow, black and white photography has often been preferred when it is comes to depicting spatial relations in great detail. With that said, it is particularly interesting that in nine out of ten issues of FINDER one is faced with highly saturated color photography. Apart from showing the viewer what he saw at a certain point in time, Komatsu also seems to feel a need to add a "how" to the equation. That is, he is trying to convey the actual feeling of the spaces depicted; aspects such as temperature, humidity or time of the day, but certainly also the vivid visual impact of different colors once juxtaposed in front of his lens. It is precisely the unexpected combination of the above mentioned artistic decisions that enable Komatsu Munemitsu to produce photographs that gradually grow on the viewer while at the same time provoke a reexamination of one's very own way of looking at the world. Komatsu Munemitsu: FINDER, Vol. 10 (September 30, 2013).